Half There 5 Points Remove the weight with half the civilians still alive. 5 Points Obtained for defeat first Boss! 5 Points Obtained for 10.000 points. 5 Points Obtained after Federation give you the 7th rank! 25 Points Obtained for 50.000 points. Lieutenant 10 Points Obtained after Federation give you the 7th rank! Final Battle I 50 Points Obtained for get to last mission on Normal Mode! Fleet Marshall 50 Points Obtained after Federation give you last Rank! Score Killer 50 Points Obtained for 100.000 points. Final Battle II 100 Points Obtained for get to last battle on Hard Mode! Mission Completed II 100 Points Obtained for complete mission on Hard Mode! Game Over 5 Points All good things come to an end! In Control 5 Points Now you have mastered the buttons. High Score 10 Points Get over 1000 points! Higher Score 25 Points Get over 10,000 points!! Delete Music 10 Points Secret Medal: Unlock this medal to view its details! 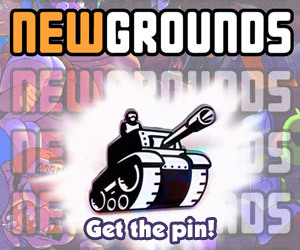 Face Change 10 Points Secret Medal: Unlock this medal to view its details! 10 Points Kill 100 zombies!!! Zombie Slayer 25 Points Kill 1000 zombies!!! LOL 50 Points Kill the boss!!! Zombie Slaughter 50 Points Kill 10000 zombies!!! TROLOLOL 100 Points Kill the boss 5 times!! !